Day 1 (2nd October Timing: 11:00 AM-1:00 PM) : African Drum and Music for Cancer Patients. 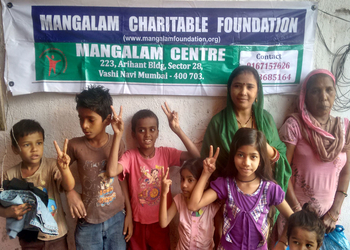 Day 2 (3rd October Timing: 11:00 AM-12:00 PM): Donate clothes to Old Age home. Day 3 (4th October Timing: 11:00 AM-12:00 PM): Donate return gifts for differently abled Children. Day 4 (5th October Timing: 01:00 PM-3:00 PM) : Treat given to underprivileged at 5 Star hotel. Day 5 (6th October Timing: 04:00 PM-6:00 PM) : Movie Show for the Cancer Patients. Day 6 (7th October Timing: 11:00 AM-12:00 PM): Game time for the Cancer Patients. Day 7 (8th October Timing: 11:00 AM-02:00 PM): Talent show by Cancer Patients.